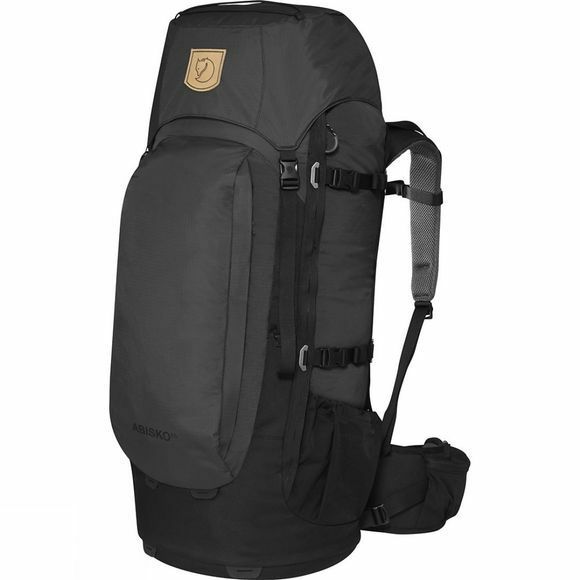 Simple, light backpack for trekkers, backcountry skiers and travellers who like to move about without too much weight. The back panel provides air circulation and the hipbelt gives great support. As in earlier models, the length of the back is adjustable and the shoulder straps and hipbelt are designed for a man's body shape. The hip belt has double adjustment straps at the front for easy handling plus two pockets for snacks and the like. Its slim silhouette and spacious top-loaded main compartment with a large front opening make it a practical backpack that has room for everything you need for a few days trekking or a longer trip away. The main compartment has a snow lock at the top and the extra opening at the front makes it easier to pack and have an overview of contents. The top lid can be raised and has two spacious pockets. The zipped front pocket has space for reinforcement garments, ski skins and other things you need close at hand. There are also side pockets in stretch fabric, big enough for a one-litre thermos. Compression straps at the sides stabilise the pack when it is not full, and they can also be repositioned, for example if you want to attach a sleeping mat to the front of the pack. Pre-shaped, solid base that gives stability when you place it on the ground.